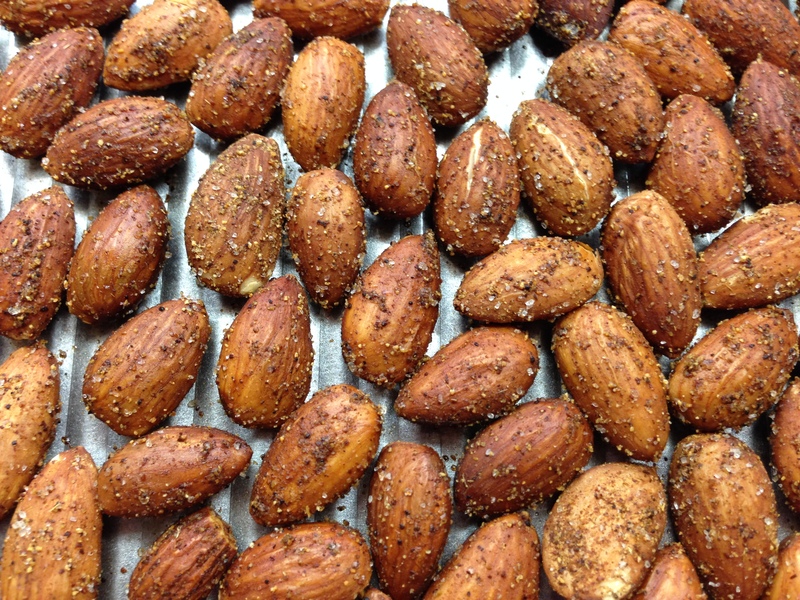 Almonds make such a healthy snack. The spices give the nuts a wonderful kick! This is so unbelievably easy to make and so delicious to eat! In a small bowl combine the cumin, garlic powder, cayenne pepper, salt and cinnamon together. In a large bowl mix the almonds and olive oil thoroughly. Add the dry seasonings and stir until the nuts are evenly coated. Place the almonds on a jelly roll pan and roast for approximately 13 minutes.